The scene played out every day for several weeks in San Diego — another example of judges challenging President Donald Trump's moves on immigration in ways large and small. Last month, a different judge halted an administration policy to deny asylum to people who enter the country illegally. Defense attorneys frequently objected that they didn't have enough time to consult with their clients, who appeared in the same clothes they wore crossing the border a day or so earlier. "The government, in many respects, was duplicitous," Gallo said on a recent Friday, referring to the decision to deport defendants before they could return to court for resolution of their cases. 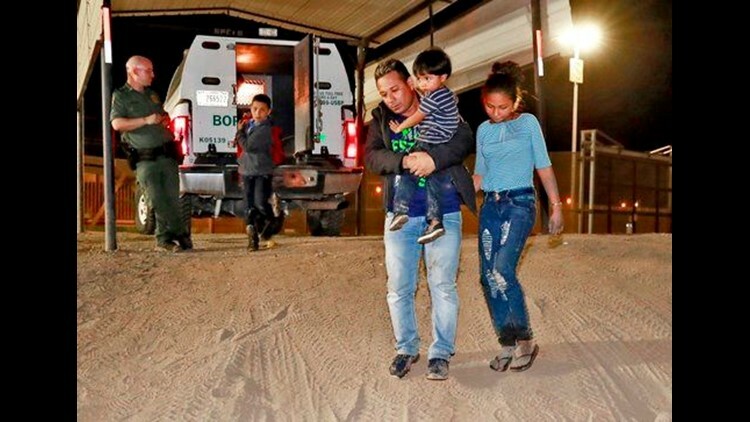 "They wanted it to be a one-day thing, like it is across the whole border, because it's cheaper," said Jami Ferrara, who represents defense attorneys on a panel with judges and prosecutors working on the changes. "It's not a cheap system." While dismissing the cases did not free people in the U.S., it undermined the purpose of Trump's "zero tolerance" illegal immigration policy: to notch criminal convictions. First-time offenders are punished by up to six months in prison and can be charged with a felony if caught again. "Our current focus is to assist as many people as we can in San Diego," Steinberg said. For now, many defendants are unable to make because some judges insist they be released to "a third-party custodian" in California, often a relative who is responsible for making sure they return to court. But some family members may be reluctant to come forward if they are in the country illegally, and many live far from San Diego. "It is extremely unusual for courts to require a third-party custodian in misdemeanor cases," said David Loy, legal director for the ACLU of San Diego and Imperial counties. "These are basically federal petty offenses at the lowest level." The prosecutor spoke as the government presented 43 people for prosecution, three over that day's cap. Three men entered the jury box and were told by Gallo that their cases were being dismissed because they had not had a chance to speak with an attorney. "The system is burgeoning," the judge said.